The fundamental purpose of ATC Williams is to provide excellent, innovative engineering solutions to meet our clients’ needs and minimize environmental and social impact. 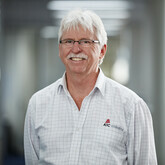 ATC Williams services the mining and resource sectors. We are globally recognised tailings consultants, specialising in life-of-mine tailings management. We also provide complementary services in the areas of geotechnical engineering, slurry transport, water and waste management. We have a proud tradition of engineering innovation and technical excellence. Our focus is to align our expertise and service capabilities with our client's needs, strategies and goals, to deliver long term benefits for their project. Our point of difference is our experience and expertise in our specialised markets, coupled with a strong emphasis on quality. We focus on cost-effective and pragmatic solutions, and prioritise project delivery aligned to our client's needs and expectations. Endorsement by industry peers is a great honour and testament to our teams continued drive for excellence. Victorian Engineering Excellence Awards - Highly Commended – Infrastructure Projects over $20M. UDIA (Urban Development Institute Australia) award for ATC Williams’ contribution to this 7 storey development. ATC Williams undertook the geotechnical and acid sulfate soil investigation, together with foundation design parameters. UDIA (Urban Development Institute Australia) award for ATC Williams’ contribution with the geotechnical investigation and foundation design parameters. Since establishment in 1981, we have appreciated the opportunity to contribute to the viability and sustainability of the industries and communities in which we operate, and to the long-term future of our people. We began operations in Melbourne in 1981, as MPA Williams and Associates, and subsequently expanded to Perth in 1993. We set up a specialist testing laboratory in Melbourne which became NATA accredited in 1992. Our business group, Australian Tailings Consultants was formed in 2000 to emphasize our focus on mine tailings disposal and water management strategies. This work became increasingly international, with major projects in places including Iran, South America, and Central Asia. In October 2011 our operations were further expanded with the successful merger with Allan Watson Associates, which had had built a strong business in Queensland also based on tailings, as well as waste and landfill for Local and State Governments. This provided us with a Brisbane office and stronger presence in the Queensland marketplace. In 2015 we headed overseas to South America. Our growing work in Chile over recent years made a new office in Santiago, Chile a logical step. We further expanded our operations in this region with the addition of a second new office in Lima, Peru to provide increased support to our clients. 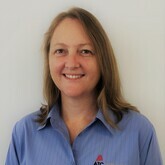 Today ATC Williams continues to expand our operations across Australia and in locations around the world. Our people are our company, not just because we are employee-owned, but because their extraordinary talents and ingenuity define everything ATC Williams stands for. Our people are engineering specialists with expertise in tailings management, geotechnical engineering, slurry transport, water and waste management. Our experience spans over 500 projects in Australia, the Americas, Africa, Europe, the Middle East and Asia. With a culture that encourages openness and respect amongst colleagues, we have developed enduring relationships and created long-term stability in the team. We are passionate about what we do and foster work environments that are both challenging and personally rewarding. The technically challenging projects that we become involved with also provide exciting opportunities for our staff, which maintains engagement and enthusiasm. We recognise the contribution our people make to our ongoing success and the many benefits that are achieved for our clients. We are therefore committed to supporting our people with professional development and mentoring, to enable skills development and fulfilment of career aspirations. Today’s working environment is one of constant change. The labour market is extremely competitive in all disciplines. Maintaining a consistent standard of quality and a thriving organisation requires sound operational management and a team that works well together. ATC Williams has had many years of growth and success, and has taken the time to build a solid team. We look forward to continued success for all our people in the future. Paul established our company in 1981, to provide an independent geotechnical consulting engineering service to the construction and mining industries. 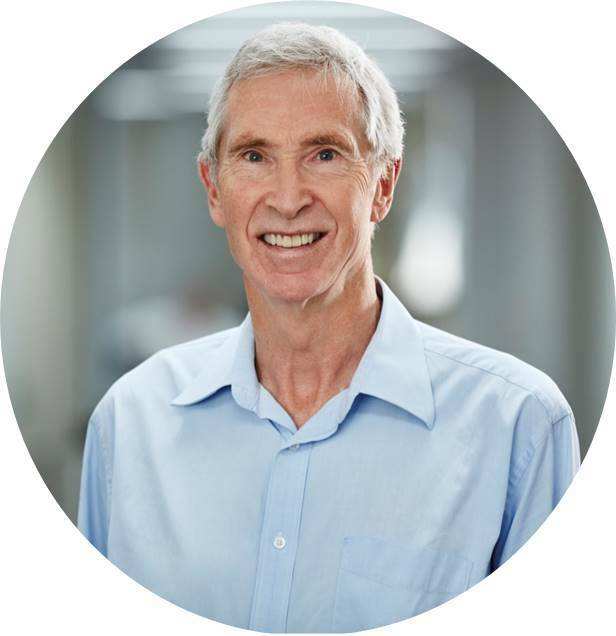 Paul has over 40 years’ experience, and in that time has become a recognised leader, researcher and innovator in the field of mine tailings management. His particular interests include tailings beach slope theory, tailings consolidation behaviour, the development and application of central thickened discharge (CTD) schemes, and cover design for tailings dam closures. Keith is ATC Williams’ Technical Manager, with over 40 years’ experience in all aspects of mine tailings disposal, including conventional, thickened and paste tailings schemes. This includes studies, design, construction and operations, monitoring and surveillance, and closure and rehabilitation. He has experience of many tailings types and a wide range of geographic and climatic conditions. He has undertaken due diligence and third party technical audits. Keith also has significant experience in dams, groundwater investigations, slope stability assessment and geotechnical investigation. Allan is responsible for the overall management of our company's operations, driving the development and implementation of our strategic plan, fostering the growth of our corporate culture and the realisation of the potential within all of our people. Allan is also actively involved in the project side of our business, having over 30 years’ experience in a wide range of civil and geotechnical engineering projects primarily servicing the mining and waste management industries. 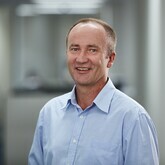 Mark's speciality areas include the management of civil and geotechnical engineering projects, with 24 years’ experience in Australia, Europe, West and East Africa and Asia.Mark has significant experience in site investigations, geotechnical analyses, detailed design, and construction and contract management. With respect to the mining industry, Mark also has experience with geotechnical and water management aspects of tailings storage design as well as the use of geotechnics in mining. 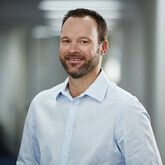 Craig joined us as a graduate engineer in 1994. 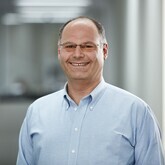 His current responsibilities include the management of a wide variety of mine tailings and water management related projects, with specific capability in the investigation, analysis, design, construction, surveillance and closure of tailings storages and water retaining dams.Craig has developed extensive experience in options and feasibility studies, hydrology, lining systems for tailings and water retaining structures and tailings dams for civil and mining projects in Australia, the Middle East, Europe and Asia. 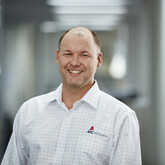 Ralph has over 20 years experience in a wide range of civil and geotechnical engineering projects servicing mining, industrial and local government clients. Ralph has extensive experience in mine tailings and water management applications including dam siting, geotechnical/foundation assessment,embankment design, construction management and earthworks quality control. Ralph also has expertise in mine waste facilities and mine post-closure design. 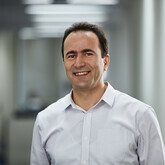 Dr Ghahreman-Nejad commenced his engineering career as a consultant 25 years ago and has extensive experience on a broad range of projects in the civil, geotechnical and mining engineering fields with significant emphasis on the geotechnical and water management aspects of tailings and water retaining dams. He has been responsible for project management, feasibility study, geotechnical investigation, design and documentation, and construction support. 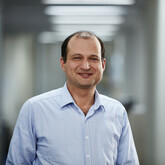 Behrooz is also an Honorary Senior Fellow at the Department of Infrastructure Engineering, the University of Melbourne. John is responsible for the design, execution and interpretation of geotechnical site investigations. John has more than 20 years’ experience in geology and geotechnical engineering with particular emphasis on slope stability assessment and remediation, and foundation design and construction for industrial, commercial and housing developments. Specialist areas also include earthworks instrumentation, tunnelling, major highways, design of deep basement structures, and assessment and remediation of derelict or contaminated land. Phillip has over 20 years’ experience in the consulting environment, providing services to a broad range of mining enterprises across Australia, the Middle East and more recently in South America. Phillip’s principal area of expertise is in the project management, planning, design and construction of tailings and water management systems for both thickened and un-thickened tailings schemes. Specialty areas include analysis, design, documentation, construction management, operation, surveillance and closure design of earth and rock-fill embankments for tailings and water storage facilities. 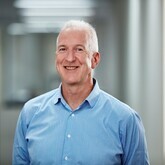 Mal has over 25 years’ experience as a Civil Engineer in the strategy formulation, investigation, design, construction and management of a wide range of environmental, geotechnical and civil projects. Mal has also been involved in the inspection, submission and management of reconstruction projects post the flood events in Queensland in early 2011 for Logan City Council, Ipswich City Council, and Scenic Rim and (TRC) Toowoomba Regional Councils. Arash has over 20 years of experience in project and study management including; resources management, scheduling, planning, budgets estimation, reporting, cost estimation, engineering economics and trade-off studies, together with technical aspects of a wide range of projects from tailings management, transportation and disposal to water resources management, hydrological and hydraulic studies, water and waste water plant processes, and environmental assessment at various stages of the study from options study to feasibility, Basic engineering and detailed design. Dr. Pirouz is a hydraulic-civil engineer with a PhD in non-Newtonian slurry flow. He started his engineering career 20 years ago and has extensive experience in project engineering including the management of multidisciplinary projects, design of tailings storage facilities and water management system for mines, process and hydraulic analysis, modelling and design of non-Newtonian slurry transport systems (both open channel and pressurised pipe flow), specialised laboratory testing for slurry transport system design, fluid measurement techniques and instrumentation and pilot plant testing. 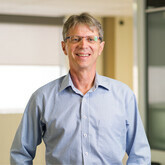 Rowan has over 15 years of civil, environmental and engineering experience. 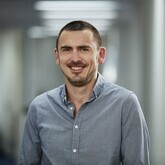 Rowan has been involved in every project stage from planning approvals to detailed design and construction phase services, giving him an appreciation of the issues and constraints which may affect key decisions on any project. Rowan’s overall experience encompasses projects specific to Waste Management, Infrastructure & Mining and Geo-environmental. 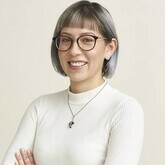 Rowan’s professional experience has also imparted a keen appreciation of the ‘major project cycle’, and how overall project viability is affected by the natural and built environment, the construction methodology, the design/impact mitigation and the capital cost and approvals process. Lis has over 20 years experience in a wide range of civil and geotechnical engineering projects servicing mining, industrial and local government clients. She possesses particular experience in the area of mine tailings and mine water storage and management applications. Involvement has included dam siting, geotechnical/foundation assessment, embankment design, construction management and earthworks quality control, capping assessments. She also has expertise in landfill engineering included landfill siting assessment, design of containment cells, rehabilitation and capping designs. 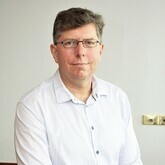 Hendra has a PhD in civil and geotechnical engineering and has some 37 years of experience within industry including academia, consulting and mining corporate positions. Hendra’s specialty areas include Static and Seismic Stability of Dams, Open pit, Waste dumps, Tailings Dams, Retaining Wall and Deep Excavation, Soil mechanics and Soil Dynamics, Geotechnical Earthquake Engineering, Soft Clay Engineering, Foundation Engineering, Field and Laboratory testing of Soils & rocks, Numerical Modelling. Luke's 10 years of experience include areas of expertise in geotechnical, mine tailings, construction materials laboratory testing. Construction supervision and quality control testing of earthworks. Soil sampling for engineering purposes. Transportable moisture limit (TML) testing of mineral ores and concentrates. Luisa is a Senior Geotechnical Engineer with over 7 years’ experience in areas such as complex project design, and has specialised in providing supervision, technical assistance, and Quality Control and Assurance in a varied range of dam construction projects within Australia and overseas. Other areas of expertise include geotechnical and hydrogeological engineering design of embankment dams for water storage and tailings applications, specialised site and laboratory testing, seismic analyses to determine ground accelerations for liquefaction analysis, geotechnical characterisation of mine tailings, and mine water management. She has been closely involved in South American and Western European projects due to her native Spanish language fluency. 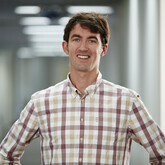 Hamish has 20 years’ experience of tailings beach modelling and volume calculation using Muck and Ooze tailings deposition software, he is a proficient user of Terramodel and Autocad (Civil 3D). Hamish oversees all company survey, drafting and modelling requirements and standards. Survey review, design support and compliance assessments, and calculate cut/fill volumes and construction quantities. He provides support to engineers, training and mentoring. Alpesh's areas of expertise include geotechnical site investigation, in-situ geotechnical testing, foundation analysis, groundwater investigation, seepage analysis, slope stability assessment, acid sulphate soil investigations / management plans, groundwater monitoring, environmental water sampling, preparing technical and financial proposal, tailings dam water balance modelling, beach modelling, tailings dam construction supervision, nuclear density testing, pumping and piping design, culvert design, open channel design, embankment modelling, hydrology design and calculations. Makaela graduated from Griffith University with a Bachelor of Science, Environmental Science major. Makaela’s areas of expertise include waste management, environmental monitoring and hydraulics engineering. 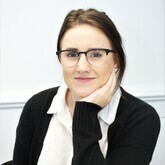 Makaela has been involved with a range of ATCW waste management projects including environmental sampling and reporting, leachate generation (HELP) modelling, lining and capping works, assessment of airspace volumes/compaction ratio’s, stormwater management and hydrogeological investigations. ATC Williams are ISO 9001 accredited, please use the link below to download our quality management policy.